I write this based on experiences living with three Millennials kids, managing a bunch of Millennials staff, and consulting with companies dealing with issues and studies on this generation of people over the last 10 years. Millennials don’t like to be called Millennials. My Millennials children and staff tell me that. I am using this term as a general description of a group of people born between 1980–2000. Although each country’s millennial is different, they do reflect some common characteristics because of globalization, the export of Western (USA) culture, and the accessibility of social media. (2) Millennials Twixters – Prolonged Teens born between 1990-2000. 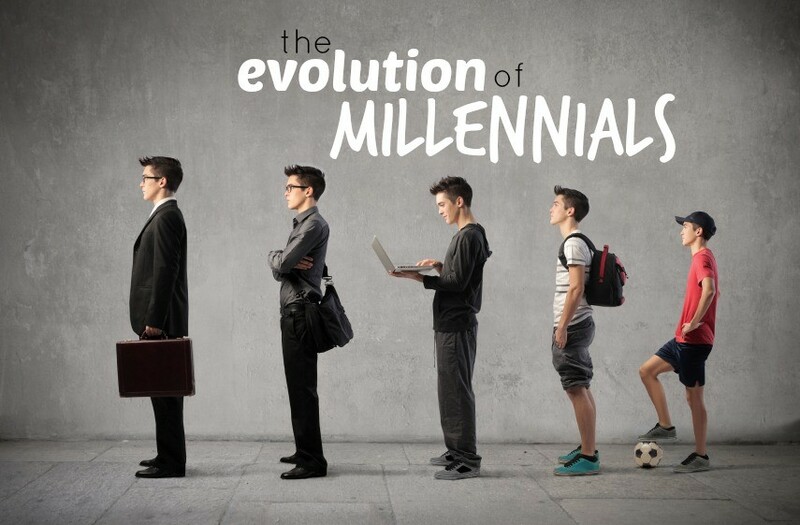 Millennials don’t like to be stereotyped: There are Millennials and there are Millennials. Not all Millennials are alike. However, Millennials is a social grouping that sociologists and psychologists are wanting to help us understand and appreciate better. Millennials don’t like to be told what they are: If you are a Millennials or a non-Millennials and you read something here that doesn’t describe you or the Millennials children or friends you have, skip it and move on. If it is helpful, use it as you please. Why should I do what I do? – They are a purpose-seeking generation. Why should I follow you? – They demand authenticity and competence. Why should I do it this way? – They don’t like to follow instructions and seem to know a better way. Why can’t I do it another way? – They want to challenge the status quo. Why can’t I choose? – They prefer more options. Why? Why? Why! –They are less patient, irritate easily, and angrier more often. Why should I go through all these? – They are less resilient and tend to give up easily. Why is this happening? – They are curious and want to explore possibilities. They are, perhaps, the most intriguing, most exciting and most knowledgeable generation of people we can ever manage. Indeed, some feel that they are the single most important challenge every leader, every organization and every country has to deal with today. 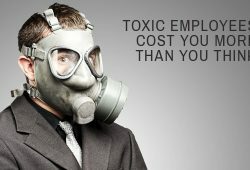 Every boss and manager of the baby-boomer generation wants answers to this challenge. I hope that through this essay we can find some answers to engage them, mobilize their potential, and release their energy to serve the greater good. They are those born between 1980 to 2000, from teenagers to the 30-somethings. Let’s discuss some of the challenges confronting Millennials. 1) Too Self-Focused: They are too focused on themselves and don’t care much for others. More college students score higher on the narcissism scale in 2009 than in 1982. This seems to be more acute in China because of the one-child policy, which has created a generation of over-confident and self-absorbed children. According to Joel Stein, even the poor millennials have rates of narcissism, materialism and technology addiction in their ghetto-fabulous lives[ii]. 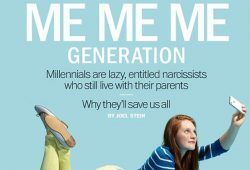 According to Joel Stein, If the baby-boomers are the ‘Me’ Generation, the Millennials are the ‘Me, Me, Me’ Generation[iii]. This self-absorption is most evident in the ‘Selfie’ movement of photo-taking. Look at Facebook, RenRen.com (the Chinese equivalent of Facebook in China), Line (Thai, Korea, Japan’s equivalent of WhatsApp) or WeChat (the most popular chat app in China), the ton of self-pictures, self-blogs, self-videos loaded is unbelievable! As a result, they have turned themselves into ‘brands’, with friends and followers, which serve as sales figures. W. Keith Campbell, a psychology professor at University of Georgia, penned so poignantly, “People are inflating themselves, like balloons on Facebook!” They embellish their lives, Instagram their photos, spice up their food and dress up their friends. In a flash, they become instant mini-rock stars! 2) Entitlement Mentality with Little Resilience: They are demanding, need pampering, unwilling to take responsibility, less hardy emotionally and tend to quit easily. In Taiwan, they have coined the term The Strawberry Generation, in describing the Millennials: Soft and pretty but easily bruised. The Strawberry Generation (Chinese: 草莓族or 草莓时代; pinyin: Cǎoméi zú or cǎoméi shìdài) is a Chinese language neologism and is a rising demographic or psychographic profile of Taiwanese people born between 1981 and 1991. Like strawberries, they “bruise easily” – meaning they cannot withstand social pressure or work hard like their parents’ generation; the term refers to people who are spoiled, selfish, arrogant, and sluggish in work[iv]. The Millennials have lived mostly with their parents and grown up over-protected by their parents in an environment of relative prosperity similar to strawberries that are protected in greenhouses. In USA, according to the 2012 Clark University Poll of Emerging Adults, more people ages 18–29 live with their parents than with their spouse, resulting in stunted development[v]. 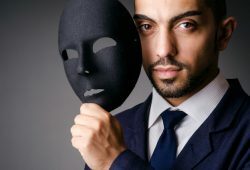 Some sociologists and psychologists have attributed this lack of resilience to the over-emphasis in instilling self-esteem to improve chances of success to this generation. Self-esteem is great for getting a job or hooking up in a bar but not enough for keeping a job or a relationship. They yearn for self-praise and self-affirmation so much so that they become disappointed and demanding when they don’t get them. They see themselves as special and therefore insist on self-attention. They adopt an entitlement mentality. They feel that they have to be fast-tracked even though they don’t deserve it. When they don’t get it, they fall apart and get bruised like strawberries. They are over-demanding and have higher expectations of their supervisors. They desire short-term results and quick promotion. They have an inability to cope with stress and pressure. They are unwilling to deal with conflicts in a sustainable manner. This generation has the highest likelihood of having unmet expectations with respect to their careers and the lowest levels of satisfaction with their careers at the stage they are. It is a crisis of unmet expectations[viii]. As such, they have short career paths and don’t hold their jobs too long. They have an average of 7 jobs by the time they hit 26! If they stay in a job for three years, they deserve a long-service award! 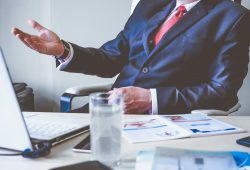 A recent study shows that 40% believe they should be promoted every two years regardless of performance. They have more participation trophies growing up. This is a three-part series. We will continue to explore Appreciating the Millennials (Part Two) in the second part next week. [i] Joel Stein. The New Greatest Generation: Why Millennials will save us all? May 20, 2013. Time Magazine. Time Magazine Asia. Hong Kong. [ii] Joel Stein. The New Greatest Generation: Why Millennials will save us all? May 20, 2013. Time Magazine. Time Magazine Asia. Hong Kong. [iii] Joel Stein. The New Greatest Generation: Why Millennials will save us all? May 20, 2013. Time Magazine. Time Magazine Asia. Hong Kong. [iv] Strawberry Generation. People’s Daily Online. Jan 10, 2010. [v] Joel Stein. The New Greatest Generation: Why Millennials will save us all? May 20, 2013. Time Magazine. Time Magazine Asia. Hong Kong. [vi] Joel Stein. 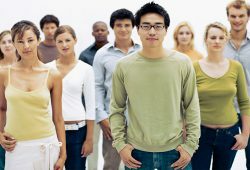 The New Greatest Generation: Why Millennials will save us all? May 20, 2013. Time Magazine. Time Magazine Asia. Hong Kong. [vii] Joel Stein. The New Greatest Generation: Why Millennials will save us all? May 20, 2013. Time Magazine. Time Magazine Asia. Hong Kong. [viii] Joel Stein. The New Greatest Generation: Why Millennials will save us all? May 20, 2013. Time Magazine. Time Magazine Asia. Hong Kong.